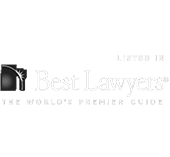 Gibbs Law Group attorneys won two highly prestigious awards in 2019 for California Lawyer: Attorney of the Year. "I would recommend this firm without hesitation!" "You really care about what you are doing." "I found comfort in your abilities every step of the way." "Class Counsel displayed skill in achieving a highly favorable result that confers significant benefits on a large number of people while addressing an issue of societal importance – public safety." “Plaintiff’s lawsuit resulted in the enforcement of important public rights…including public safety and the enforcement of California’s consumer protection statutes…"
A federal court has preliminarily approved a nationwide class action lawsuit alleging VIZIO secretly tracked what was displayed on about 16 million Smart TVs for three years.